Pabrik Zippo didirikan pada akhir tahun 1932 oleh George G. Blaisdell. Produk pertama mulai diluncurkan sekitar bulan Januari dan Februari 1933. Produk mula-mula dipajang di Zippo/Case Visitor Center dengan catatan kecil tulisan tangan Mr. Blaisdell. Inovasi-inovasi dari Zippo sudah dimulai sejak awal berdirinya. 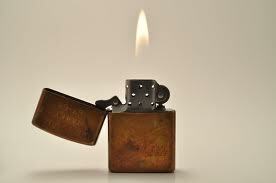 One of the icons of the Vietnam War is the Zippo lighter. Sure they are wind-proof and guaranteed by the manufacturer to light every time – if it didn’t, it was replaced for free – perfect for Vietnam. Everyone had one – even if they didn’t smoke cigarettes. Next to a P-38 can opener, a lighter came in handy for lighting a heat tab or C-4 when cooking meals or making coffee in the field. Tattoos are popular today and allow recipients an opportunity to “advertise” those things they feel strongly about. Could be a picture, scene, saying or even foreign characters. 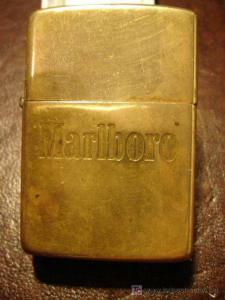 Back in the day, engraving Zippo lighters was the rave in Vietnam. Every one of them was unique and “advertised” a bravado saying, homage to their units and reminders of those back home.